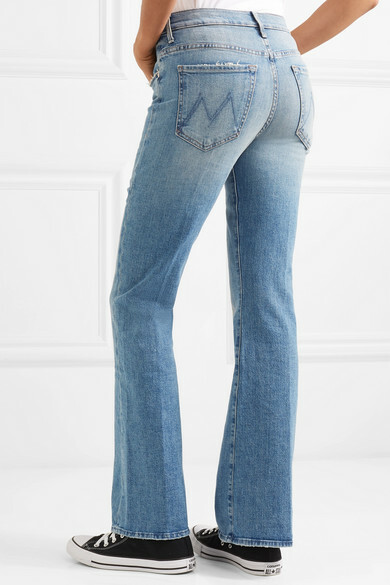 The '70s were one of denim's most defining decades, so we're not surprised to see our favorite labels routinely returning to the silhouettes of the era. 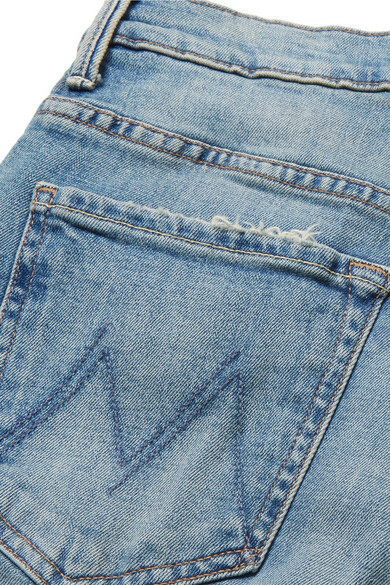 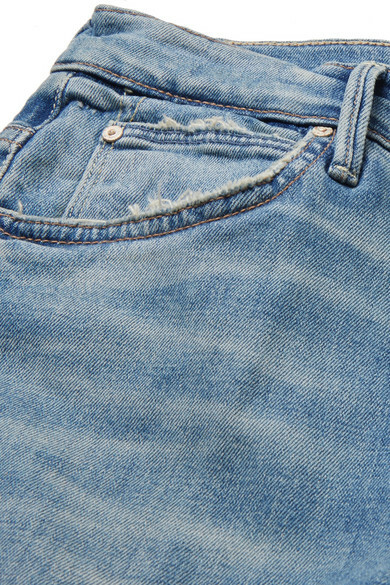 A great example, Mother's 'Desperado' jeans are cut with a high-rise waist and flared legs, and are slightly faded and distressed for a love-worn effect. 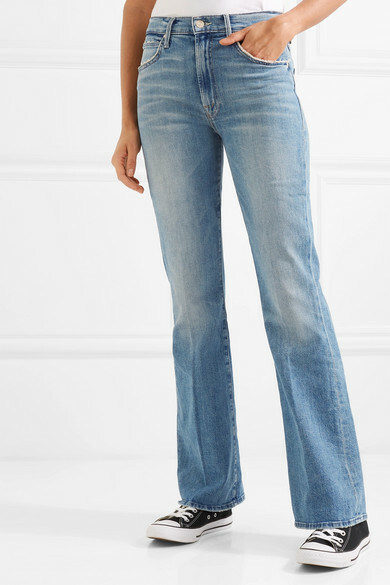 The light-blue wash will go with everything in your closet. 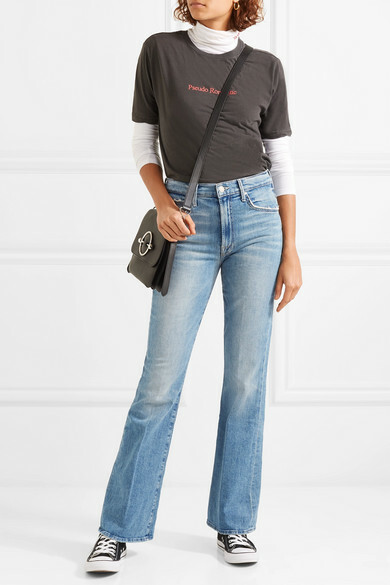 Shown here with: Ksubi T-shirt, JW Anderson Shoulder bag, Converse Sneakers, Wolford Bodysuit, Sophie Buhai Earrings.